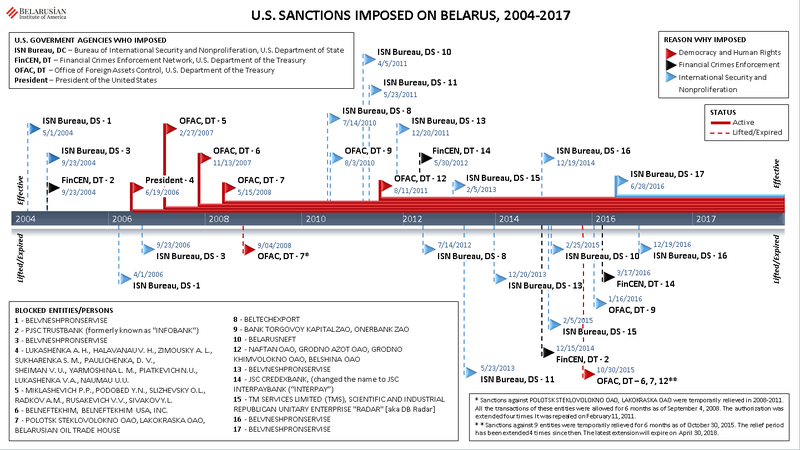 Currently, the sanctions of the U.S. governmental agencies are imposed on 16 individuals and 10 Belarusian companies. All current sanctions were imposed due to the serious violations of human rights and democracy. 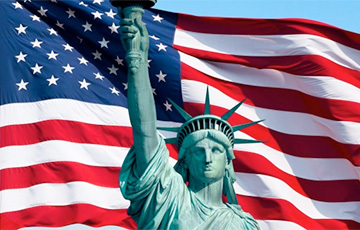 The sanctions against Belvneshpromservice are imposed because of the violation of the Iran, North Korea, and Syria Nonproliferation Act. As of October 30, 2015, the sanctions against 9 entities (except Belvneshpromservice) were temporarily relieved for six months. The relief period has been extended 4 times since then. The latest extension will expire on April 30, 2018.